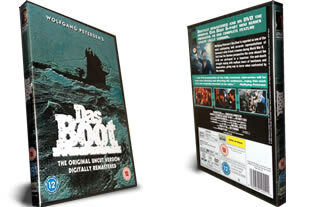 Das Boot DVD box set. On 2 dvd's. DELIVERED FREE IN THE UK. This 282-minute version of Das Boot is the full-length TV series, originally shown in six parts but here edited into a feature length uncut version. Set aboard the German sub U-97 while attacking British convoys in the Atlantic during World War II. Written and Directed by Wolfgang Petersen.